Preheat oven to 425 degrees. 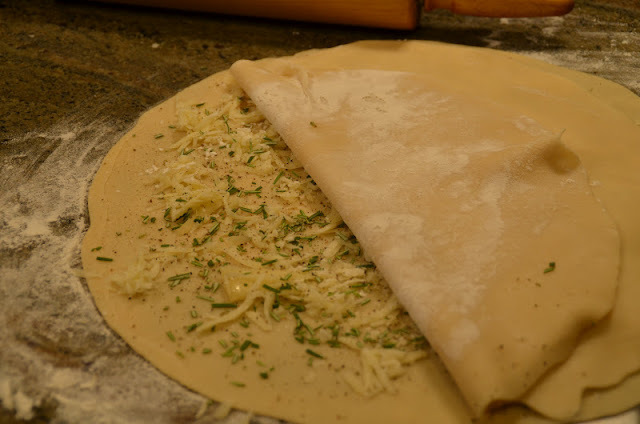 Unroll both piecrusts on a lightly floured surface. Sprinkle with rosemary, pepper and 1/2 cup cheese over 1 piecrust, place other piecrust on top sandwiching the cheese between the two. Roll into a 13 inch circle. Press on bottom and upsides of 9 inch springform pan. 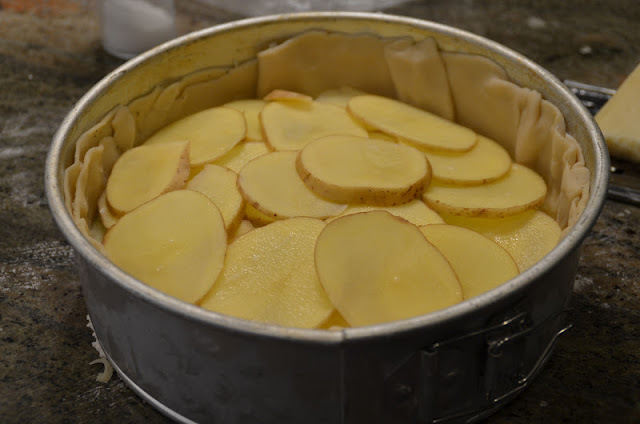 Peel and thinly slice the potatoes, onions and apples. Place all in a bowl and toss, sprinkle with salt, 1/2 tsp. pepper, 2 Tbsp. flour and parsley. 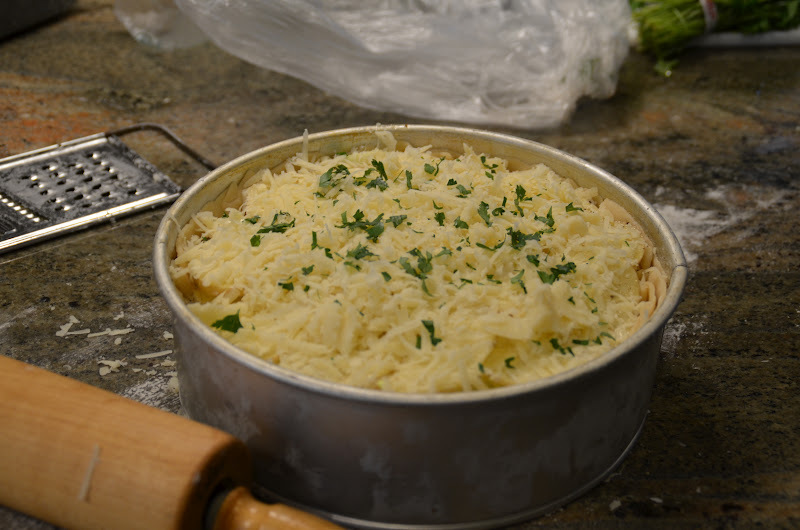 Remove crust from the frig and pour one third mixture in crust, sprinkle with cheese then repeat twice. 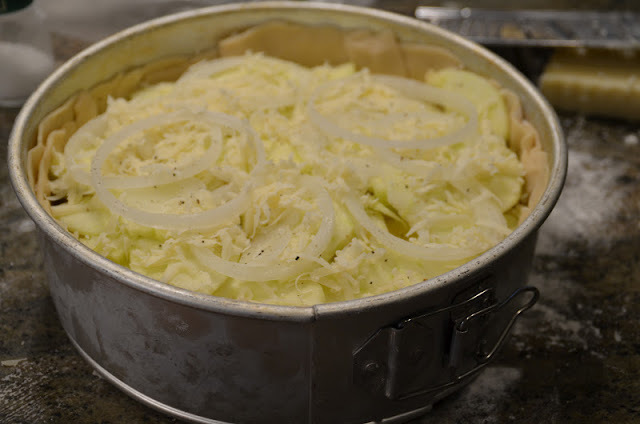 You can also just layer the potatoes, apples, onions and cheese and then salt, pepper, and flour each layer. Microwave cream and garlic in a glass bowl for 45 seconds. 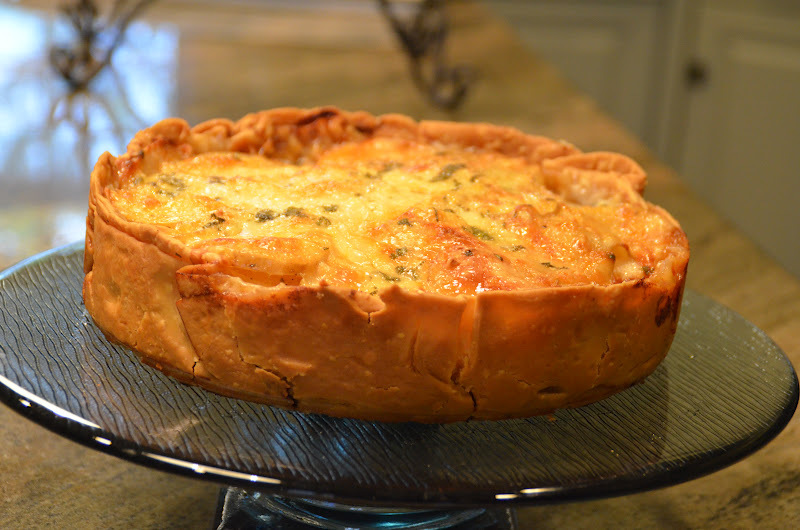 Pour over layers of potatoes in crust. Sprinkle with remaining cheese. Tent pan with heavy duty (or 2 layers of regular) aluminum foil. Bake at 425 for 1 hour. 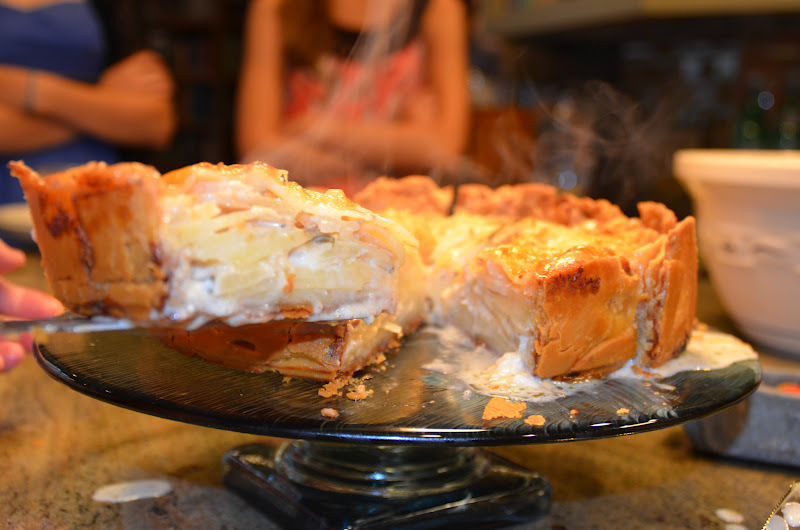 Uncover and reduce heat to 400 and continue to bake for 25 minutes. Until richly browned. Let stand 15 minutes. 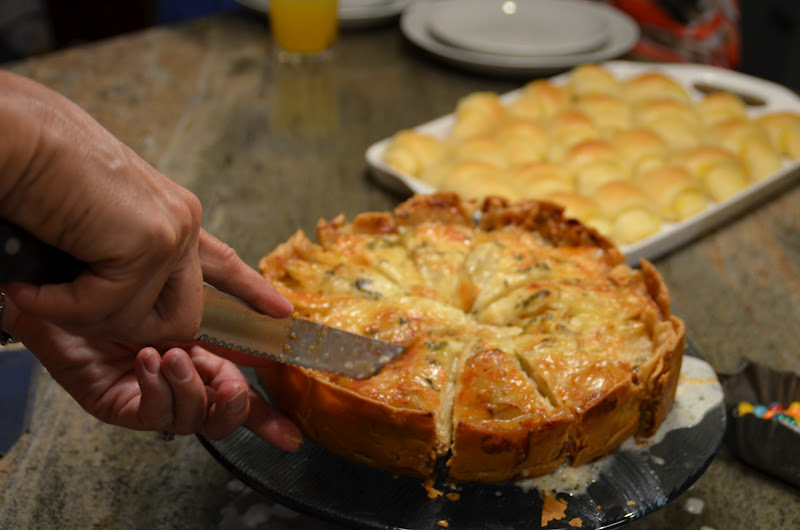 Carefully remove sides of pan, slide gratin off bottom of pan using a long knife and transfer to a serving platter or cake plate. (leave bottom of pan under gratin if desired). Garnish with sprigs of fresh rosemary. I assembled this a couple of hours in advance and covered it with foil and refrigerated. The potatoes and the apples did not turn brown. Do not replace the cream with regular milk. It will curdle at the high temperatures. *Gruyere cheese can be very expensive. At my store the imported was in the case by the other expensive cheeses. I asked for a cheaper alternative and they directed me to the domestic variety by Boars Head which was half the price and perfectly fine. This looks intimidating but is very easy to make and such a beautiful presentation.